Watch Pedestal Pets Archives of Older Product Videos by TDmonthly. 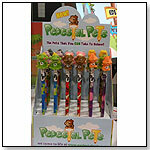 Pedestal Pets is a new educational line of animal pencil toppers with coordinating pencils to match each pet! 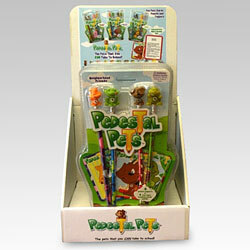 Each package includes 4 animal pencil toppers, 4 pencils and 4 fun fact cards! You can also name your pets and print out coloring pages on our website! Collections include Neighborhood Friends, Barnyard Friends, and Safari Friends. Neighborhood Collection includes a cat, turtle, frog and dog. Barnyard Collection includes a horse, pig, sheep and duck. 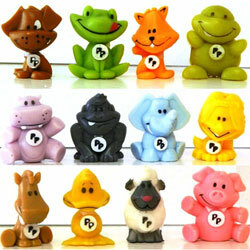 Pedestal Pets Safari Collection includes a gorilla, lion, hippo and elephant.